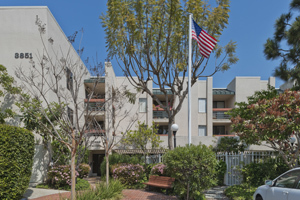 Ocean Terrace is a 36-unit apartment community located in the city of Torrance for seniors 62 and over. The property is currently accepting applications for the waiting list. This property accepts Housing Choice (Section 8) and VASH vouchers. Each of the one bedroom units includes a kitchen range and oven, refrigerator, waste disposal, heating and air conditioning, wall-to-wall carpeting and vinyl flooring, window blinds, patio/balcony, smoke detectors/fire sprinklers, and controlled building access. Regularly organized events include monthly birthday parties, a weekly movie night, and other group activities. The beautifully landscaped property includes a community/recreation room with cable television, a kitchen, outdoor patio/garden and laundry facilities.